Guess who ordered four Eagle lifts this month? 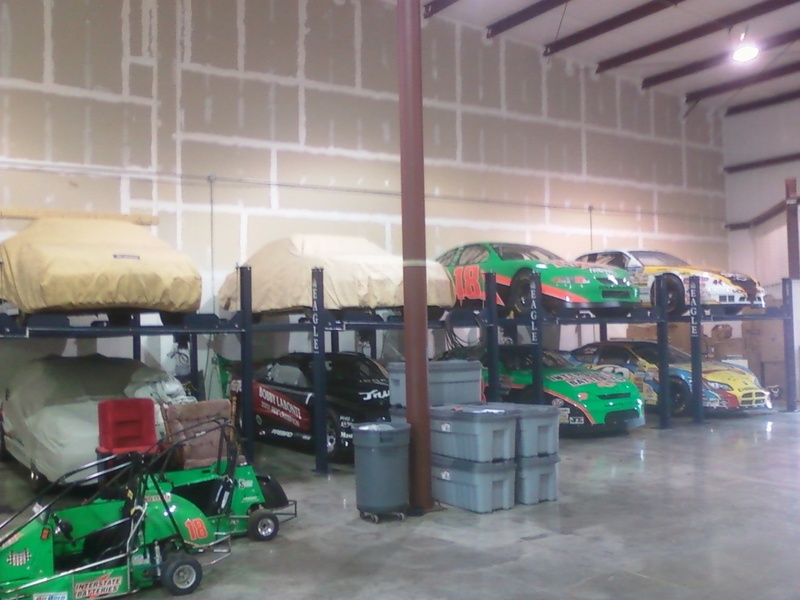 We’ll give you a hint….. he’s a Nascar driver and has lots of cars he needs to store. That’s right, you can add Driver Bobby Labonte to the Eagle list of satisfied customers. He ordered four of our popular MS-8000xlt 4-post storage lifts. 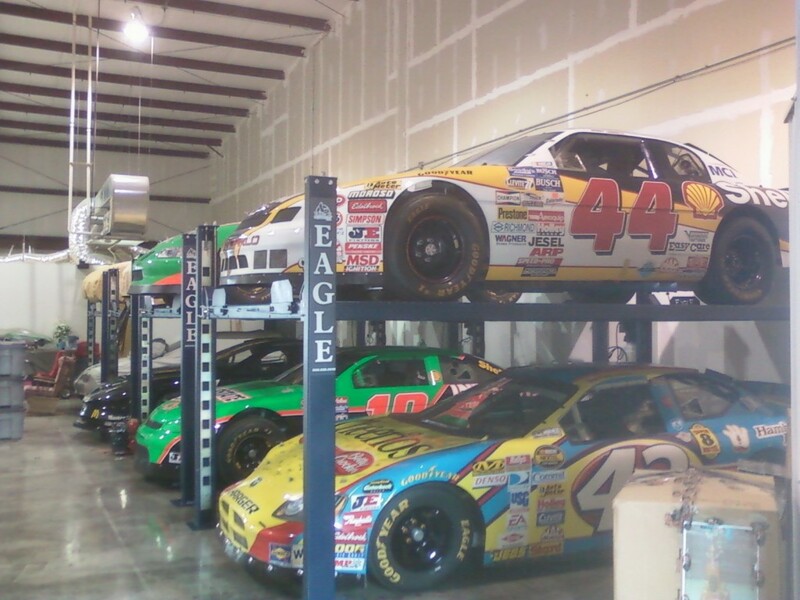 You know Eagle is a trusted brand when a race car driver trusts our lifts to store his race cars. Why did he choose Eagle? The same reason most of our customer’s do…. he heard great things about us! Since we have been in business since 1954, we have plenty of happy customers that practically sell our products for us. We installed 4 of our Eagle MS-8000xlt’s in his garage. Here are a few pics of the final installation. Thanks Bobby for choosing Eagle Equipment. If you want to join Bobby and become an Eagle customer, visit our Website for our full line of Auto servicing and storage lifts.